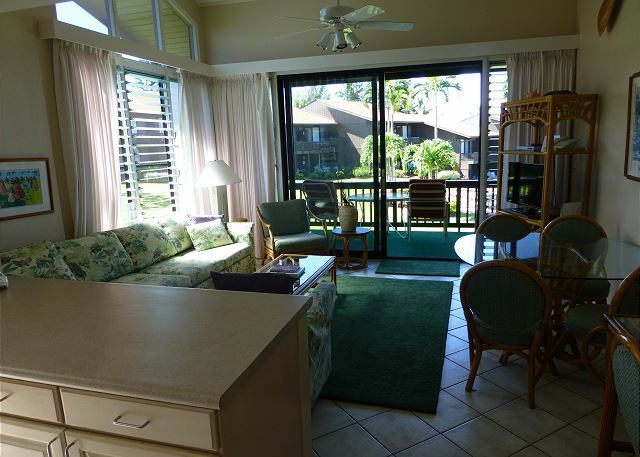 Mahina Surf #210 is a beautiful oceanfront 2 bedrooms 2 bath condo located on 2 acres of green lawns, manicured tropical gardens, with breath taking ocean views of the neighboring islands of Lanai (45 minute ferry ride away) and Molokai. 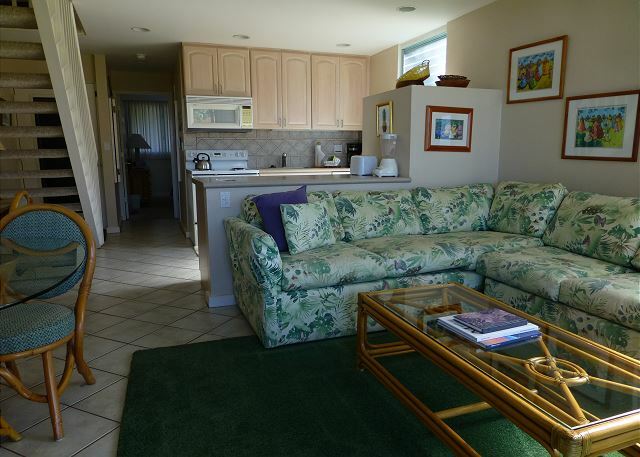 Mahina Surf is low density (only 56 units) with its own solar heated, hibiscus tiled, saline pool (at ocean’s edge), shore side B-B-Q’s and up-lighted palm trees. 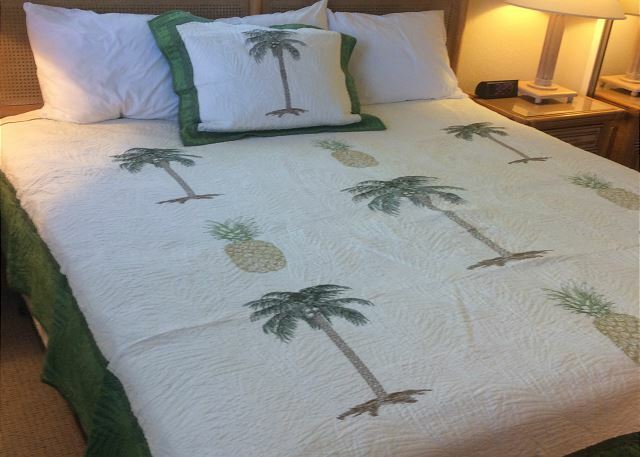 We offer free parking, all linens and cleaning (7 nights or longer) and no check out fees. 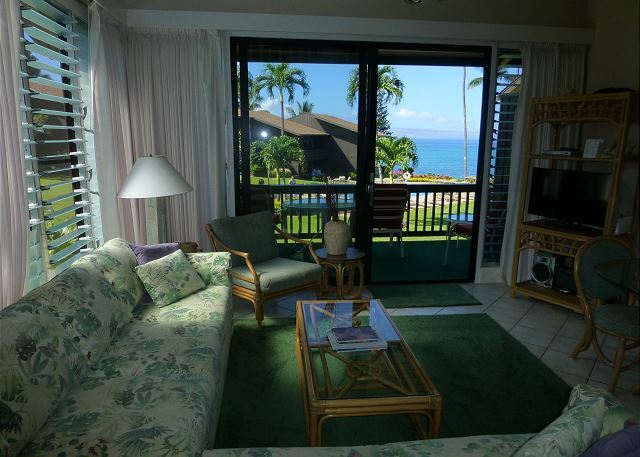 From your private lanai relax and enjoy views unfold with our “resident” sea turtles, spinner dolphins, and breaching whales (whale season is generally late November to early April). At evening enjoy spectacular sunsets from the lanai or ocean’s edge as the sun settles softly below the horizon and behind the neighboring islands. “After-glow” colors provide photo opportunities for your memory album. Our children return to Mahina Surf to sit on the large lava rocks watching the sun set and blow the conch shell and the grandchildren hunt the tide pools for little crabs. 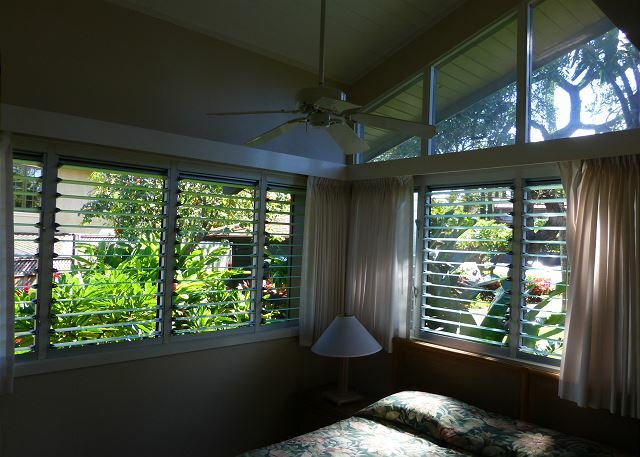 We have been owners at Mahina Surf since 1992 when we first brought our family for a visit. Now the next generation and their friends come back to enjoy the many pleasures our little paradise provides. 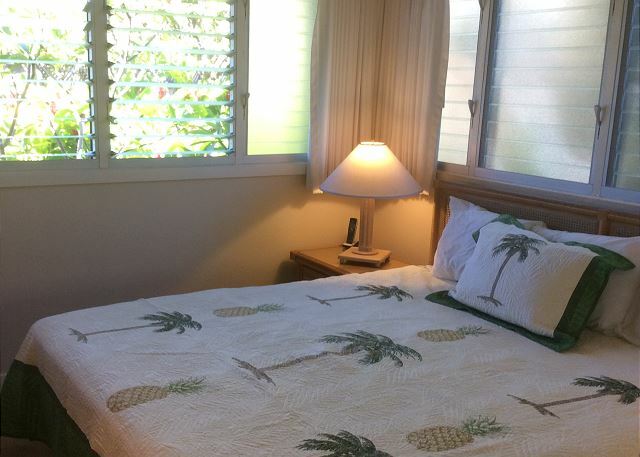 We are continuously upgrading the amenities and décor of the unit (remodeled bathroom in 2017) while maintaining a tropical Hawaiian theme. All the art works are from local plein-air artists. Unit 210’s living room has an “L” shaped couch (including a queen sofa bed) to fully capture the views of the pool, palm trees and on out to the neighboring islands; dining/game table and chairs; flat screen TV; stereo (Hawaiian CD’s in residence); DVD player; IPOD docking station; free high speed internet Wi-Fi (Ethernet cable available); and cordless phone for free calls to the US and Canada. An area rug adds warmth to the décor while the high ceiling fan keeps you cool. 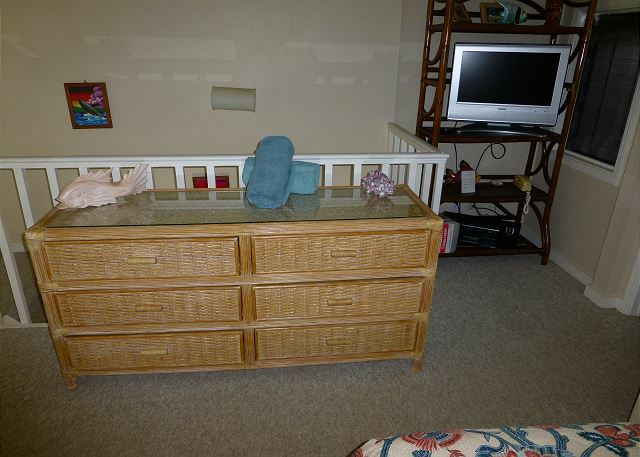 A tropical desk finishes out the room for letter writing or computer work. 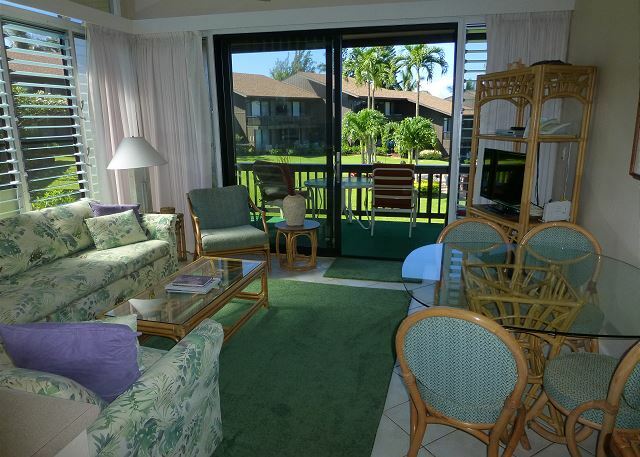 The carpeted lanai has a patio table and chairs and overlooks the pool (“cool” paver decking and lounge chairs) and ocean views. 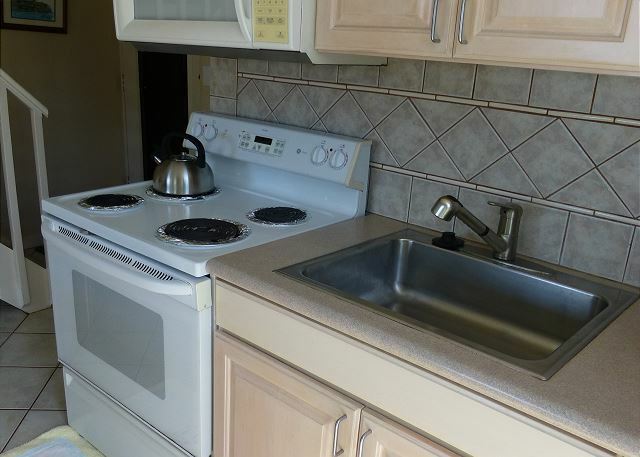 Unit 210 has a fully equipped modern kitchen including 4 burner stove/oven, microwave, garbage disposal, dishwasher, refrigerator/freezer, and an ample supply of cookware, dishes, flatware, glasses, “pool glasses”, toaster, coffee maker, and of course a blender for all occasions. 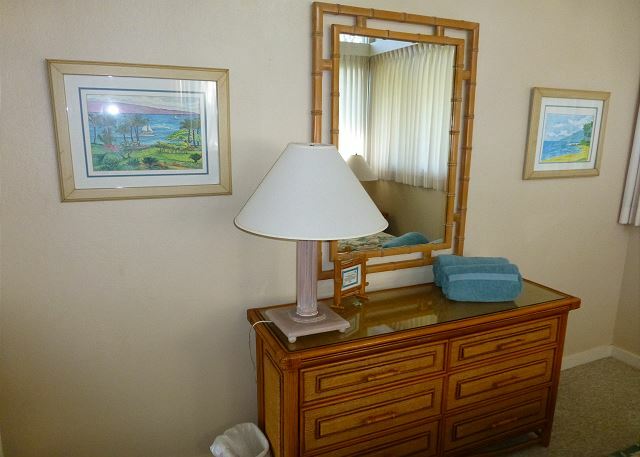 The master bedroom (fully carpeted) has a king size bed (new mattress), night stands with reading lamps, dresser, large closet, combination safe, and high ceiling fan. In the closet you will find beach chairs, beach towels, ice chest, iron and ironing board. 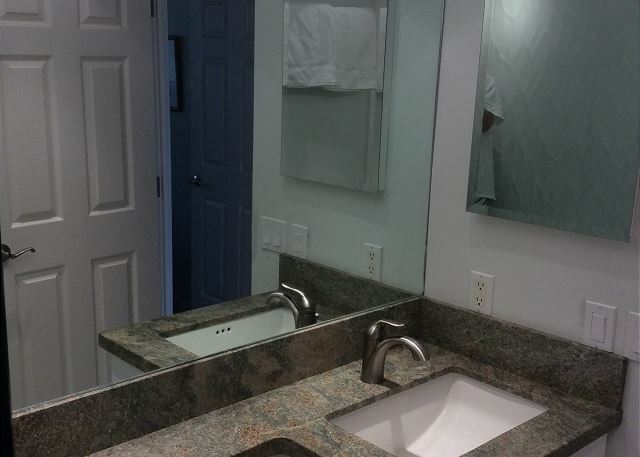 The master bath includes a walk-in dual shower, mirrored vanity and plenty of towel bars and hooks (linens provided). 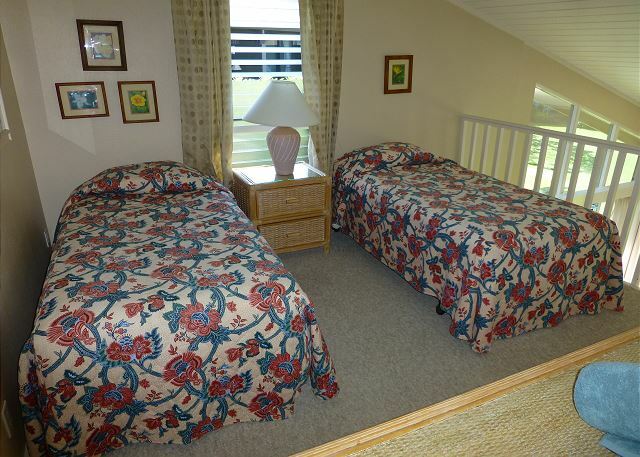 The upstairs loft bedroom is spacious with exterior windows, two twin beds which can be converted to a king bed, bedside table, reading lamp, spacious dresser, TV, cordless phone, high ceiling fan and another spacious closet. 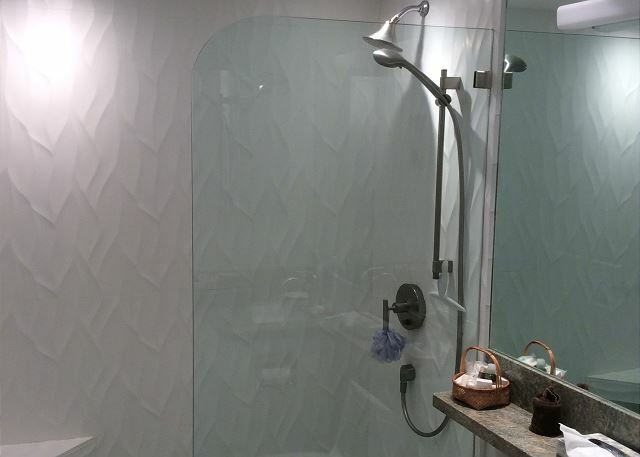 This room has its own private, large, bathroom with tiled walk in shower. 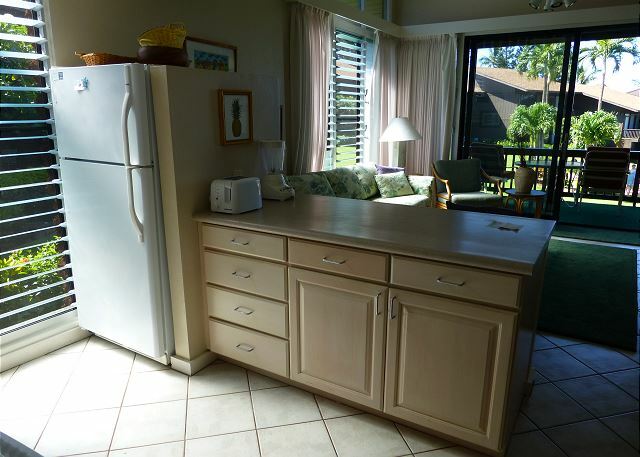 Mahina Surf amenities include coin operated laundry, three new Weber (3-burner) B-B-Q’s at oceanfront, free parking, and a lending library. Fun filled activities abound year round in our immediate vicinity from swimming or snorkeling with the turtles below the B-B-Q’s, surf board, paddle board, boogie board, zip line to horseback riding. There is ample golf at either Kapalua (3 miles north) or Ka’anapali (3 miles south) each having two 18-hole courses. Restaurants and shopping abound to Old Town Lahaina. Sunday’s craft fair under the 125+ year old Banyan tree is a must. If Unit 210 is occupied during your selected time frame, please visit Unit 105 (http://www.vrbo.com/498348 as a possible alternative. We enjoyed our stay a MS condo. 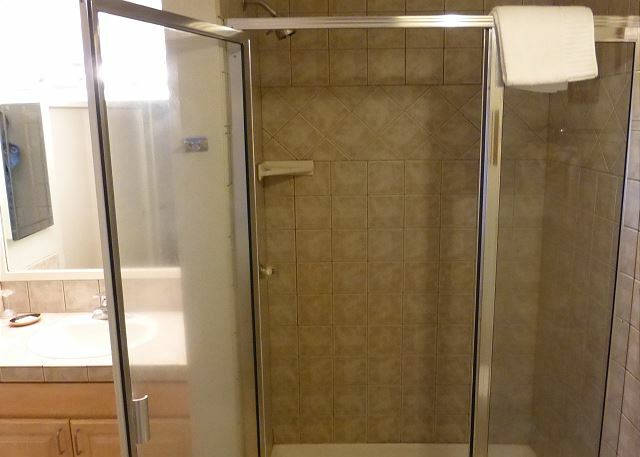 1BR/Loft, 2 baths, well equipped. Kitchen was in good shape. Beds were comfortable. Parking was fine. A bit of noise from the nearby street. The local sandy beach was not conducive to swimming but was a great resting spot for upwards of 20 turtles in the PM which we and our grandchildren thoroughly enjoyed. 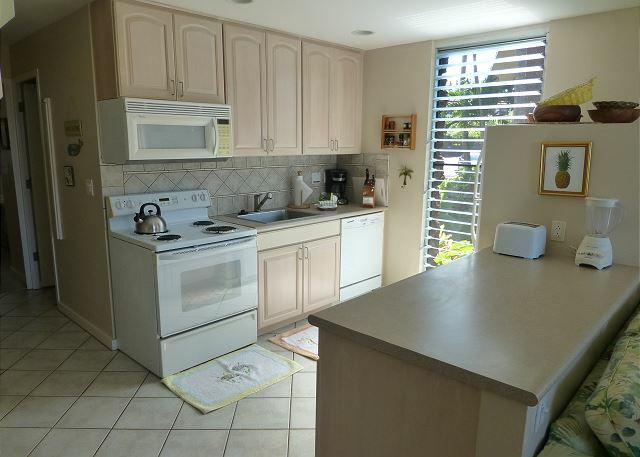 A wonderful rental unit with a great view an impeccable grounds. The children and adults enjoyed the pool, the barbecue facility, and seeing the sea turtles on the nearby beach. Our unit kitchen was adequately equipped for preparing meals. 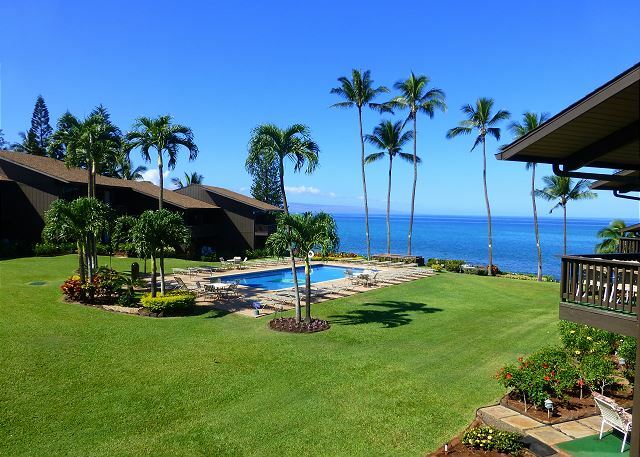 I would recommend your condos to all coming to Maui. We enjoyed our vacation. 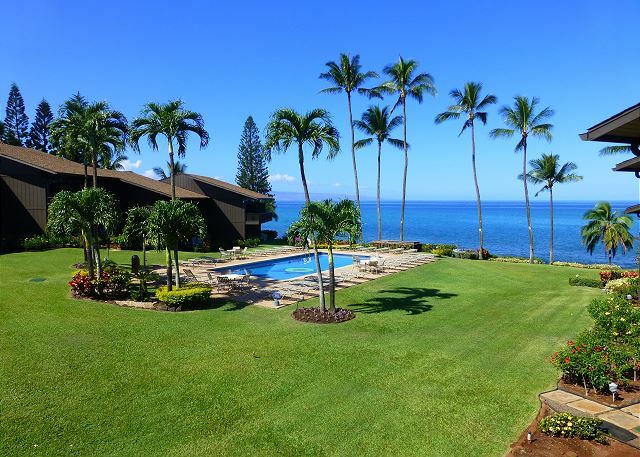 The view from Mahina surf it’s amazing close to the ocean. Very clean and sweet house. 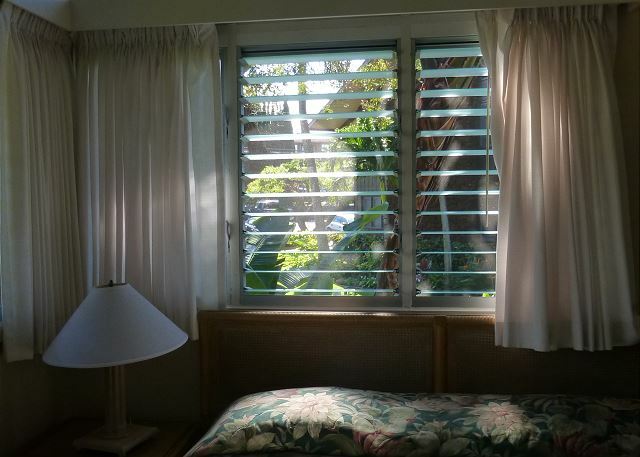 This was our 4th time staying at the Mahina Surf and it is by far my favorite place to stay in all of Hawaii! 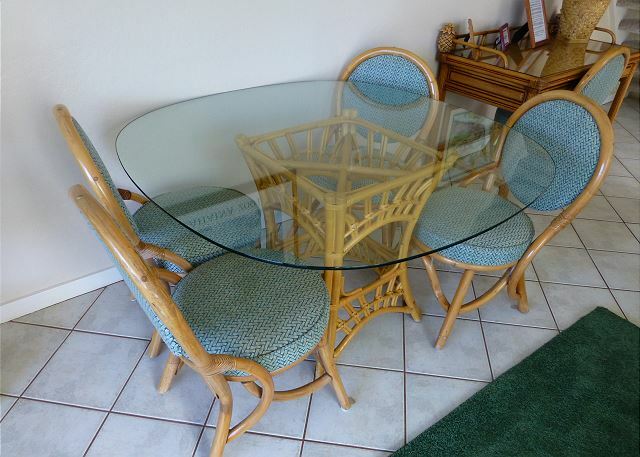 It is in a great location and has everything you need. It's a beautiful place. We loved staying here. The condo was perfect! Great view of ocean and pool. The beach was amazing. Not for sunning, but for the critters that crawled up each day. My wife, kids and I enjoyed our stay! The condo was nice as described. Overall very pleased with cleanliness. Kitchen had all you need to cook and prepare meals. No condiments, but has small selection of spices and a few packets of sweetener, etc. Lower kitchen cabinet door fronts were dirty and sticky around handles on doors below sink area. Gift basket was nice touch (small fresh pineapple, single serving bag of chips and one soft drink) we enjoyed the pineapple, chips and soda didn’t go far with 5 guest. Condo had 2 beach chairs, 2 beach umbrellas and a boogie board. 1 beach towel per person provided, hard to dry over night as it was raining most nights so couldn’t use outdoor cloths line near office. We used laundry facilities...responsibly priced at $1.50 per machine, provide laundry basket to. Pool, grounds and bbq area well keep, Heads up hit the bbq’s early or you’ll be waiting as there are only 3 for the entire complex. They are positioned nicely so you can watch the sunset and turtles.... enjoyed watching turtles come to shore in evening. Nearest beach is about 1/4 mile north, it’s a small public beach. We opted to drive to other beaches near bye. This area west shore seems to be in a rain shadow and when it did rain we lucked out it hit at night. Kids tried watching tv one night but we all were unable to get it working, unsure if cable was active? Stereo provided is dated so we used our portable Bluetooth speaker and entertained our selves. Finally a heads a/c so windows are always open, therefore sound travels...we were woke up late at night twice, once by people below us coughing loudly for couple hours (they checked out next day...yeah) then some new arrivals late night who decided it was ok to roll there suit cases down the concrete steps! I almost went out to confront them...some people only think of them selves! Sad! Overall our experience was wonderful. Thanks for a wonderful vacation experience! Pleasant stay once again, over too soon. Would like to pitch an idea, the individual stepping in for the resident manager John is great. He always greets you with a smile and an Aloha. He embodies what the meaning of what Aloha is all about. I hope to see him as a permanent employee of the Mahina Surf when we come back next year, he would be a wonderful full time addition possibly as resident manager. Sharon and Tammy are wonderful and a joy to know they are there, very helpful,caring and knowledgable. A joy to see them every year. 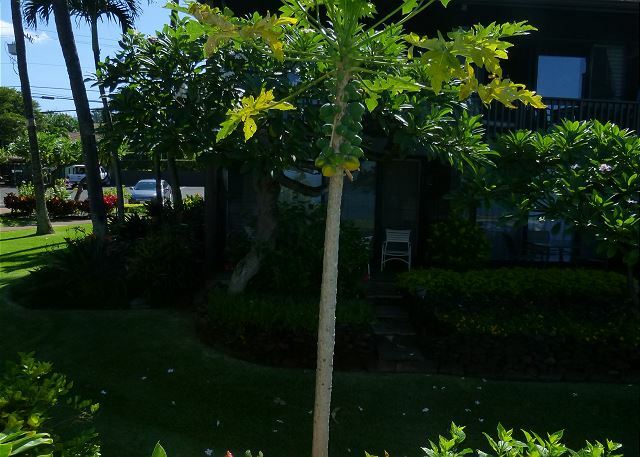 A lovely experience for the most part at Mahina Surf. 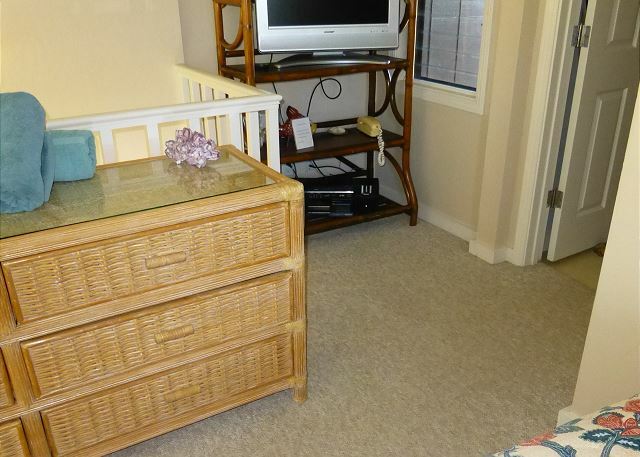 Lovely accommodation in 210 with 2 bedrooms and 2 baths. 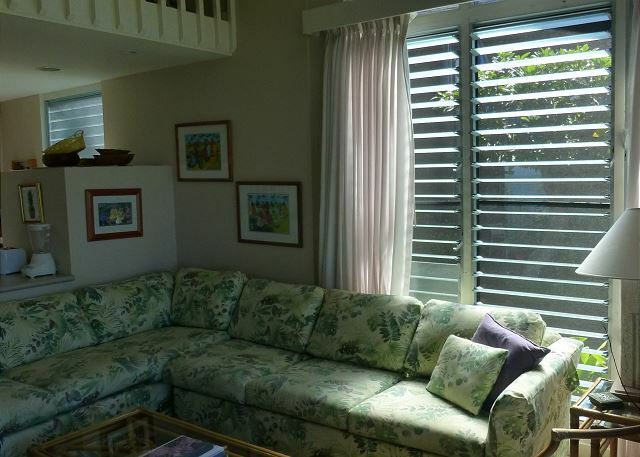 Great ocean breezes and we had extra windows in the end unit to allow for a cross breeze. Maintenance people while regular were extremely noisy with all their motorized equipment. Was shocked at the behaviour of some of the families. Sooooo many children who totally took over the pool, yelling and screaming. I had expected a more adult experience without screaming children. Also though the limit was 4 people per unit and lots of families of 5. Staff was helpful, professional. Would have liked some literature about missile test warnings in our unit as this was all new to us Canadians. I would recommend it to friends. Just be prepared for noisy kids. 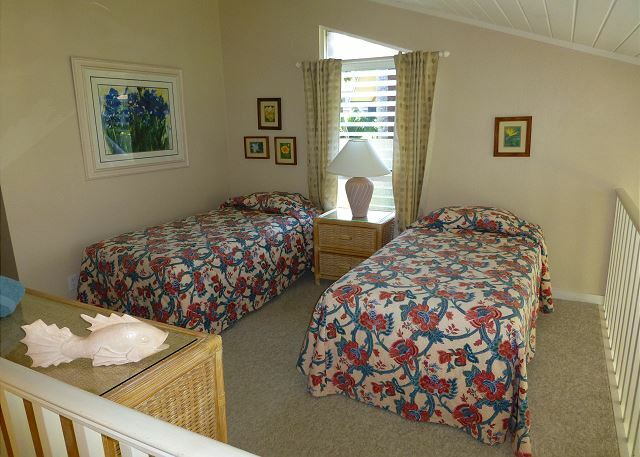 We had a wonderful stay in unit 210, Mahina Surf. The condo was equipped with everything possible for a wonderful stay. The kitchen had all the tools and essentials, plus there were boogey boards, umbrellas and beach chairs, and more. The owner was very kind to give us a $50 gift certificate to the Seahouse Restaurant, which we enjoyed during happy hour. The pictures on the web accurately depict what both the unit and the Mahina Surf is like. During our stay we enjoyed the beach front barbeques, and often saw whales jumping in the ocean, and sometimes up to a dozen huge turtles resting in the nearby beach. Highly recommend it to others! we spent 3 weeks traveling 3 island in Hawaii and Mahina Surf was the best place in Maui!